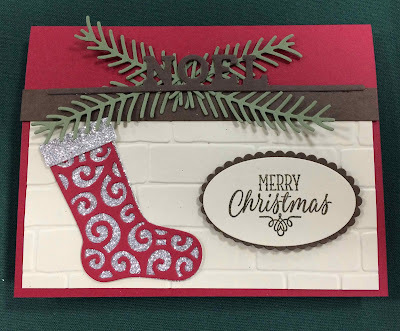 Karina's Kreations: Stampin'Up Hang Your Stocking! I'm at a scrapbooking retreat and was inspired by my friend Joanne's card. She used the Hang Your Stocking stamp set and framelit bundle #143512 and the Pretty Pines Thinlits Dies #141851. 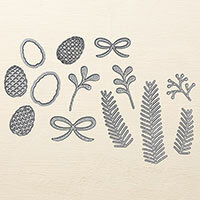 We're making this at my next card class.